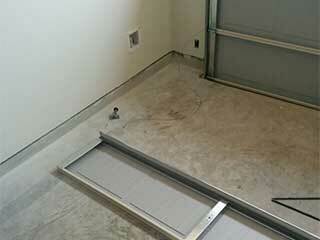 Are you worried that intruders may get into your house via the overhead door of your garage? If this is the case, there are some things you can do to eliminate all the weaknesses of your existing system and give it a higher level of security. We have some practical advice on how you can achieve the best results. There are a few basic things that you can do to make your garage door and your entire property more secure. Following these suggestions will help you protect your home from intruders and keep your belongings safe. The first thing you can do to increase the security of your home is to keep your opener remote in a safe place. You can attach it to a keychain and keep it with you at all times, or do away with a remote altogether and get an opener with Smartphone compatibility. If you do choose to keep using your remote, never leave it unattended in your car or in any other place apart from your house. The next step involves adding a lock to the door. It requires some extra effort, but it will definitely keep you more secure. This can be a physical lock, like a deadbolt or a regular padlock, or it can be something a little more inventive. Many modern opener models have a digital lock option, which, when engaged, essentially renders the opener inoperable until it is disabled. A physical lock will obviously be cheaper, but you will have to manually unlock it each time you want to use your door, and risk damaging it if you forget to do so. If the threat is serious or you have extremely valuable items inside your garage and you want to protect them better, consider getting the panels replaced with a sturdier option. Although a complete garage door replacement won't be cheap, it will certainly serve you better in the long term. A steel door will be a monumental security improvement compared to an aluminum or a wooden one and will make breaking into your garage extremely difficult. It may require a more powerful opener, though, so you better consult with our team to make sure that your current unit is capable of generating enough horsepower to lift and lower it. Before making any DIY attempt to improve the security of your overhead door, make sure to consult with our experts at Garage Door Repair New Braunfels to make sure you are doing the best thing for your home. If you do decide to get a new opener or door, we'll be able to help you find a model that's a perfect match for your specific needs. Contact us today to ask us everything you want to know.